30 years, 7 months, 2 days old age. 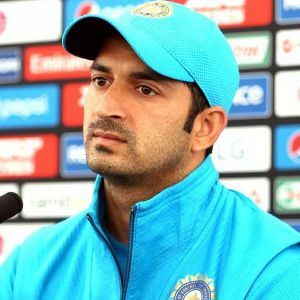 Mohit Sharma will turn 31 on 18 September, 2019. Only 4 months, 28 days, 21 hours, 56 minutes has left for his next birthday. Mohit Sharma has celebrated the total number of 30 birthdays till date. See the analysis by days count and bar graph. Mohit Sharma was born on 18-09-1988 in Ballabgarh in the state of Haryana, India. He is an Indian Cricket Player. Although Mohit Sharma burst onto the domestic scene during Haryana's best Ranji Trophy season in 2011-12, he made his own headlines a year later. In his debut season Mohit had played just three matches when Haryana made an impressive run to the semi-finals, but during the 2012-13 Ranji season, he emerged as one of the best fast bowlers in the country, finishing as the fifth-highest wicket-taker. Despite that, not many had seen or known about the youngster from Faridabad, who had been on the fringes ever since he rose through age-group cricket camps organized by the Haryana Cricket Association. But during the 2013 IPL, Mohit's talent was unveiled as MS Dhoni picked him consistently in the Chennai Super Kings XI. Not only that, he also gave him the new ball and Mohit responded handsomely. Standing at about 5'11", Mohit has a smooth delivery stride, and though he is still working on his final landing movements with experts like Andy Bichel, he can consistently bowl at about 135 kph. Accuracy is his strongest suit, as he bowls a tight line and length regardless of the batsmen, pitch or ground conditions. In the IPL, his ability to bowl consistently in the channel around off stump stood out more than anything else. That allowed him to be one of the best Powerplay bowlers in the tournament. His consistent performances have been rewarded with a maiden call-up to the Indian team for their tour of Zimbabwe in July 2013. The rise continued in that series as he turned in a Man-of-the-Match performance on ODI debut. He was a part of India's squad till the emergence of Bhuvneshwar Kumar and Jasprit Bumrah. He has been overlooked for the national reckoning since 2015. He was a part of Kings XI Punjab for 5 years. He was released by the franchise for the 2019 edition and was roped in by CSK for 5crores. He was born to Mahipal Sharma and Sunita Sharma. He has a brother named Amit Sharma. He is married to Shweta Jaiswal. Dismissed Sachin Tendulkar in his final Ranji Match in 2013. He picked up Man of the Match Award in his ODI debut. He had to miss out full 2008 season due to the back injury. He considers MS Dhoni as his fatherly figure. The Indian medium-fast bowler worked thoroughly with Ian Pont, the world-renowned bowling coach before his awe-striking performance in domestic cricket. He was called for 2015 ICC Cricket World Cup as a replacement of Ishant Sharma as he was ruled out of the World Cup due to an injury.